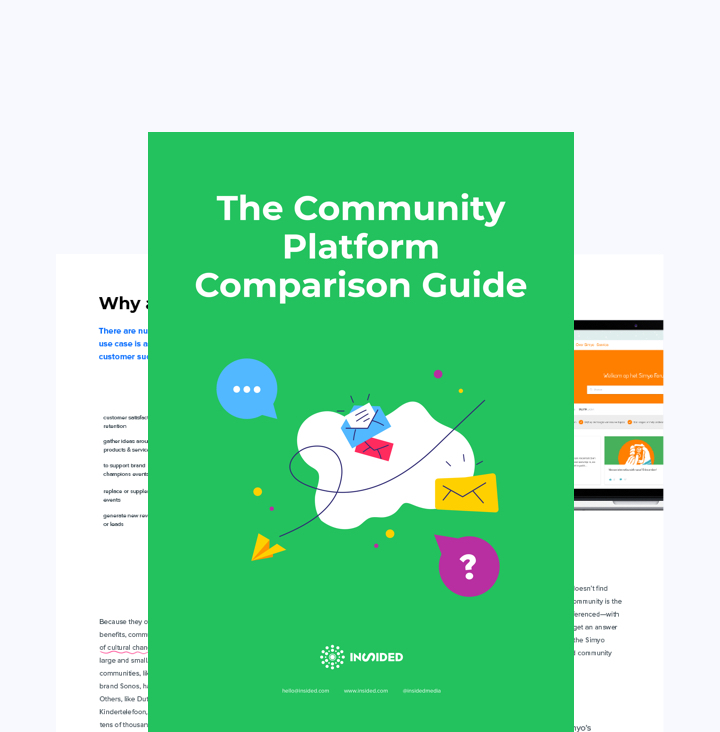 Leverage an online B2B end user community and provide better answers right inside your own product or website. 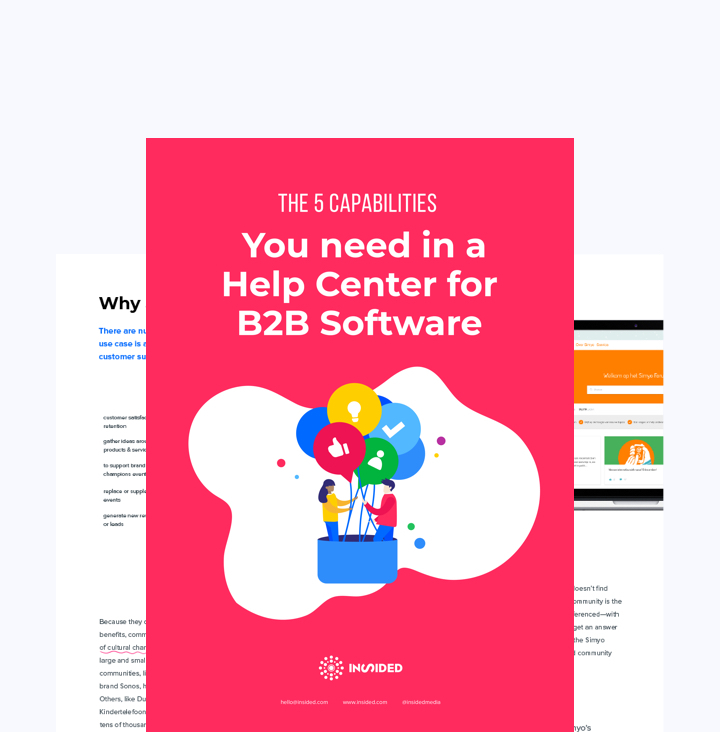 Scale customer support, improve account health & drive customer retention, but above all engage with your users and enable them to seamlessly use your products by giving them the tools they need to effectively self-serve. Stop letting customer support hinder your growth. 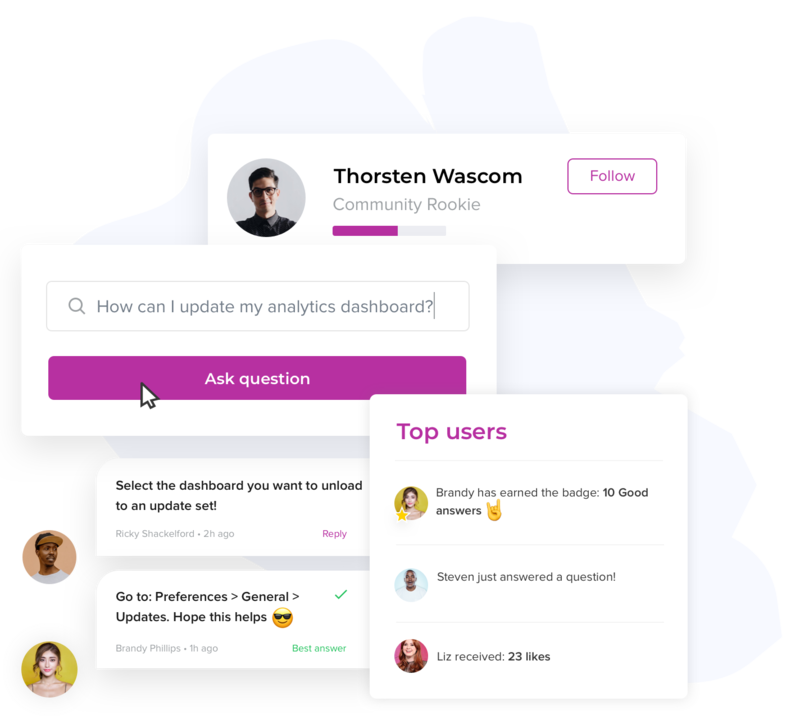 Scale your support operation with better answers from your expert users, capture and re-use answers given and build a better product with feedback from your own community. We live in a self-service world. 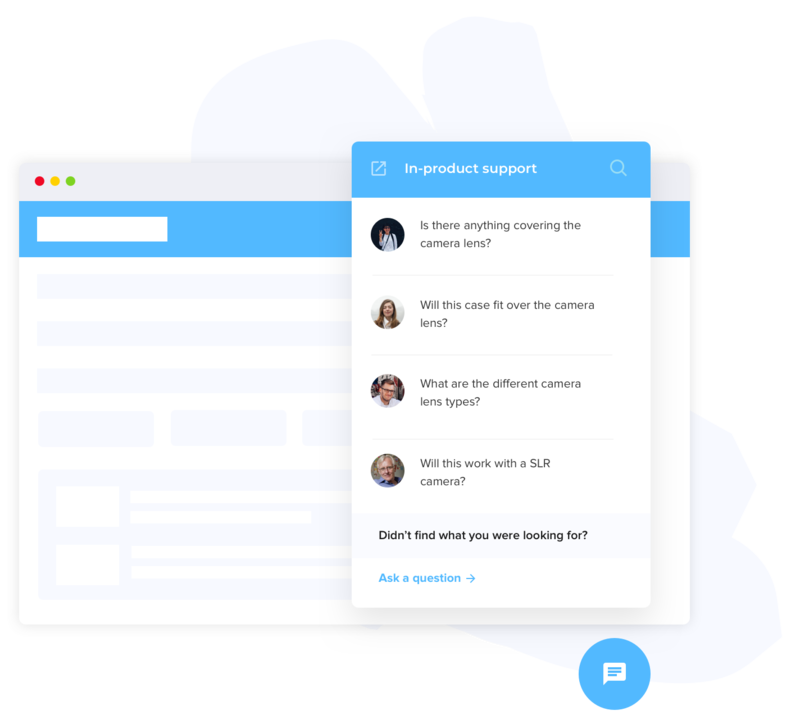 Your users no longer want to contact support for any question they have about your product. Reduce your support tickets by 50% with in-product support, gain more value from a knowledge base by making it available in all channels. Use inSided to increase user productivity & adoption, build better products with user insights and focus on customer retention by creating successful customers with better service. Customer experience is the new battlefield, and THE biggest differentiator in B2B SaaS, it deserves your focus. 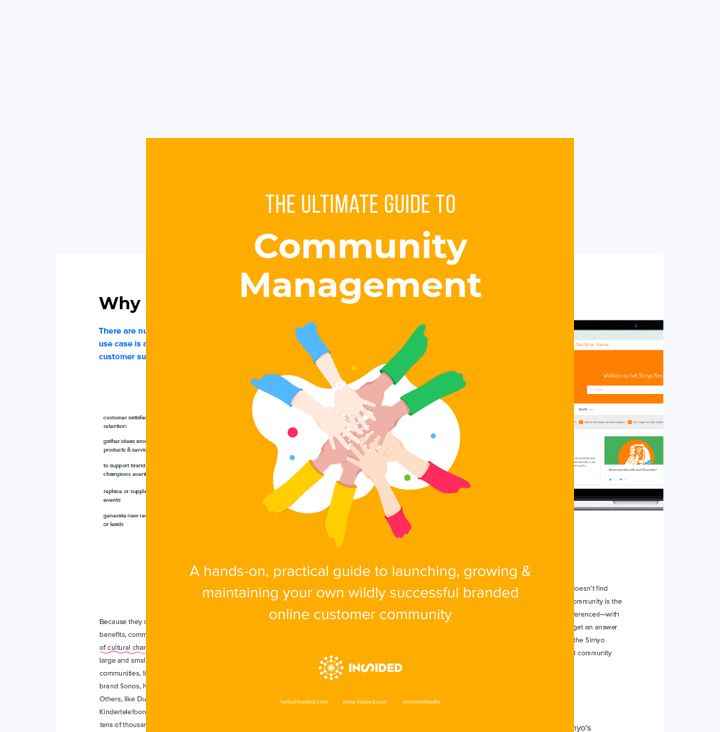 What you get when you combine a community, knowledge base and in-product support. 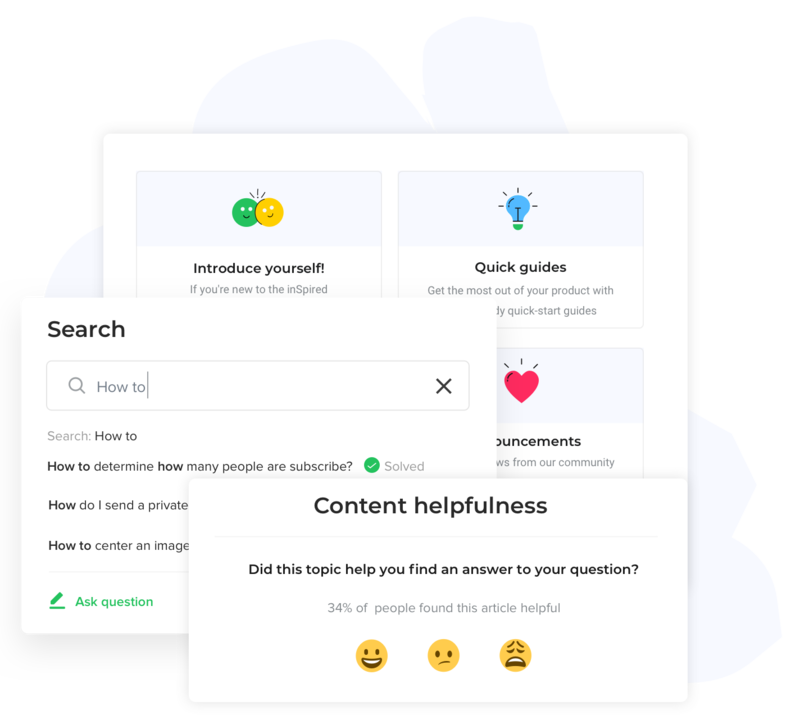 A one-stop shop for your users to get answers to their burning questions and share their own expert knowledge. We have different options for any type of business, so you get all the platform functionality you need and none that you don't. With a little help from us, T-mobile now owns the largest telecom community in the Netherlands. About 40% of all support requests are handled on their community. Smart software solutions vendor Infoland implemented inSided’s community-powered Help Center to increase engagement and provide better support to their customers. Sonos used inSided to adopt a peer-to-peer support strategy. Today, their community is the starting point for customer care on multiple digital channels. Our customers require different ways of contacting us for support and advice than a couple of years ago: They don't just want answers to their questions, they want to look for a solution together. Customers share so much knowledge about our products and services, and we leverage this using inSided. Want to know what we can do for your business? We will happily give you customized advice, or set up a 14-day Free Trial so you can see for yourself.